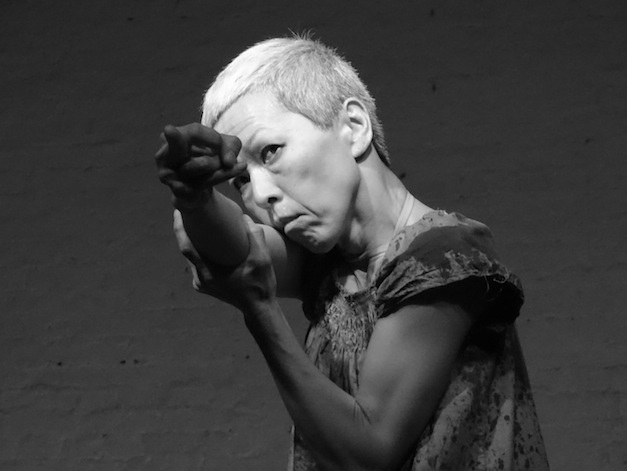 Yuko Kaseki is a Butoh dancer, choreographer and teacher, based in Berlin. This one-night-only solo performance is part of her residency with Submersive Productions at the Baltimore War Memorial. This butoh performance is inspired by Henry Darger’s fantasy world that juxtaposes innocence with violence. Sounds from real battles found on the Internet are contrasted with iconic corporeal movements that represent innocence. The work attempts to pose a question to the feeling of ambivalence towards systematic violence of belief that imposes powerlessness, and simultaneously reminds of brutal terror that characterizes our epoch.